What is the cost of living in Poland? Not much compared to the UK or USA. Is living in Poland expensive? No. Many people from Poland say that things are more expensive in Poland than in the USA. I think this is false. Living in Poland is cheap and low while low cost. Extra day to day things, like vitamins or herbs or jeans. One off expenditures and large purchases, like computers. Clearly he first four items on the list is 99% of your budget. I would say rent and food is your biggest perhaps 90%. So why do people focus on the other items when making a comparison? What Polish people do is go to the USA and see a computer selling at Best Buy and it it a full 50 dollars cheaper than in Poland. They say wow, things are so cheap here in the USA and Poland is expensive. I think this is untrue. I have compared computer prices in Poland and the USA and they are the same price. You can get a 400 dollar computer in Poland or the USA. However, when you do the comparison remember to calculate the US sales tax into the price (Polish VAT is already in the quoted price). Further, it is sometimes cheaper in Poland. If a computer part is more expensive I just order from ebay UK or USA. In almost every case it is cheaper on Allegro the Polish online store. Polish people are very clever and this is a global market. If there is a way to get it cheaper, Polish people will figure this out. I shop at Auchen’s a French Walmart in Poland. If you are low cost you can shop there. I can get blue jeans for a little over 2 dollars there. But the real question here is how often do you buy a computer? I still have my Sony Vaio from seven years ago and I am an IT guy. Therefore, when considering cost of living in Poland you have to look at what your real monthly cost are in Poland. On one hand I bought a little wooden hand made chair for 5 dollars. Anything in the USA is from China. This was from the Polish mountains. However, on the other hand IKEA prices are about the same, maybe a couple of Złoty more. This is the real cost. I pay about 400 dollarsfor my rent in the old town of Krakow. I paid in Boston for the same flat 1,800 dollars. How can you tell me that Poland has high cost or is expensive? Food cost about 1/3 the price in Poland than the USA. People will disagree with on this but I downloaded the USDA price list and compared it to a Polish market list. The prices cost less in Poland. I compared apples to apples if you may. Food and rent are your biggest costs in Poland because you are not buying the other things everyday. This is what it really means to price out costs in Poland. Cheddar cheese is about 2 dollars a pound in Poland. Potatoes about 10 cents a pound, eggs a dollar a for ten. However, it all depends where you shop. If you shop at Alma or some little expensive shop of course you will pay, but still a lower costs then then USA. But if you get things from the farmers or a large super market food is a fraction of the price of the USA. Also when you make a comparison remember that most of the stuff I buy is organic farmers produce, you would have to pay whole foods prices for anything to come close to the quality. There is no way you can tell me that the food you buy in the USA, most of which comes from huge Mexican agribusiness farms is the same quality as food grown on local organic farms in Poland. My wife’s parents are farmers. Most farms are organic and in Poland and most people I know have relatives in farming, up to 25 % of the country. So again regardless of the costs, Poland is a better place to buy food. It costs about 25 dollars for a doctors visit in Poland. Or it is free if you pay taxes as I do. You have three kids that want to go to University and get a masters or PhD? What is the cost in Poland. Free. Cost in the USA is about 25k a year and that is only undergrad. America is an expensive place. Poland is a low cost country. You can live quite well on about 10k a year in Poland. Can you do this in the USA? If you live in Poland with a total cost of 20k a year that is a very good life. Polish costs? A very old Polish house, something from the past. Poland is not a poor country like people imagine, Low cost in Poland and good income make it relatively rich. Poland is a normal EU country. It is still not at the standard of if you are a London money manager. However, the economist magazine compared costs in Poland and if you are a senior manager all costs and salaries considered you have a better life in Poland. Income has to be seen in relation to costs. Since I live here in Poland as an American in Boston, I could have told you that. Poland is a beautiful place to live. The only problem is you need an income. However, that is the problem anywhere you live. If you have a global income, you will live quite well in Poland where costs are low. If you have questions or comments please leave a reply. Or if you have ever thought about moving to Poland and curious about costs in Poland please write. I am planning to work in Poland with salary 700 dollars equivalent to 2330 PLN. It is advisable to go there with my salary monthly and I have free accomodation and food? Not everything in life is about dollars and cents or zlotys and groszy it is more about accumulating experiences and the capital will follow. I hope you are still up and running, as it were. I, too, am a Bostonian, there are many Slavic people in the Boston area, mostly Russian but many Poles too. I am thinking very seriously of retiring to Krakow in two years. I love the city; I speak fluent Polish. I also have cousins there, who deeply upset me today regarding the cost of living in Krakow. that even if I had just 1,000 (dollars) a month, I would be living no better than a beggar. Nice. I want to move to Krakow because living here (as you know) is a killer. I am paying $500 for a total dump, but only because I want to save money (got screwed really badly by my former employer – after 15 years. in Europe. I can get to almost anyplace from Krakow – and Krakow is a beautiful city in its own right. go belly-up by the time I get there. Krakow you will have a much better standard of life becuase of the rent. Boston is crazy with rent. Pole will tell you they have high rent also and it is true in relation to their income, but if you come over with American dollars, making 6,000 Polish Zloty you will be relatively rich. But it depends on your expectations of standards and life. I think Krakow will give you an amazing experience of European and Polish culture asnd the ability to travel all of Europe cheap. You can start to look on Gumtree for Polish apartments if you want to compare prices. Gumtree Krakow has an apartment section just like craigslist. For 1500 pln you can find a reasonable place in Krakow. For 2000 a high standard. You can also teach English as a native speaker in Krakow or Poland generally, all you need to have to do is speak English. Please as me any questions you want about Poland or Krakow in general. Could a family of 4 live off the income of 1 wage earner teaching english? Native speaker teaching english in Poland. Yes My friends do it, but it would be tight. OK so say you make 20 dollars an hour net teaching English and that yields 1600 dollars a month depending on your hours. Lets say 20 hours a week you work. You could also work in a call center or do other things. But lets say teaching normal lessons. Business English you can charge more. If you are living by Polish standards it is not bad. If you are living by US standards it will be just OK. You will have free medical and school and other things to keep your cost lower than the USA and good trams and things so you do not need a car. But on the other hand, it is not the USA but if you are OK with that it is great. Also Poland is booming a bit and the cost of living is rising even as I have written this post. It use to be a cheap place to live but now not so much. But people have more money and you can make and charge more. So it evens out. If you teach English you do not ever have to worry about a job. I’m a Sri Lanka. I found website of Volkswagen, Poland. They are giving 3 years training with salary. Now I’m doing BEng Mechatronics in Sri Lanka. The main university for the degree course is University of Wolverhampton, UK. I’ll finish my degree on May, 2013. If I want to apply for training they are asking what salary u expect. Minimum I need 90000 to 100000 Sri Lankan rupees, that is approximately 3000 to 3300 Poland currency. What I want to know is How much is the cost of living in Poland for one person per month? Because i need to mention in the application from how much I’m expecting from Volkswagen Company. So please give me the accurate cost of living amount. 3,000 pln a month is fine for a good middle class life of comfort. See my post and comments for more detailed information, but if you rent for 1,00 pln that gives you 500 for utlities and 500 pln for food which is fine and 500 for monoply play money. I would recommend that you try living there for a while. Also if you live there, live somewhere green and with fresh air as it is no secret that Krakow has air pollution because it is in a valley. However, the climite is cold there, so forget the expense, maybe it wold be better to be somewhere warm and sunny and fly to Poland for holidays? What other culture of people live in Krakow besides Slovak and Poles ? Ukrainians are second, then Russian and British and Irish and Americans and Spanish, and Turkish and Jewish etc. However, I would say, Ukrainians and British are everywhere. But really it is an international city with people from all over. I was wondering how current are the prices that you quoted? I looked at some websites to get an idea of rent prices and I saw that most are in between $800-1200 per month. Are these prices inflated? Thanks. If you buy high quality food shop at Alma. almamarket.pl Galaria Kazimierz is a nice one for example. It depends what you eat. I mean in the USA we are a family of 3 and we spend about 500 dollars a month on quality food. But we prepare it all. Homemade chicken soup etc. In Poland we spend more because we had more money in Poland. But if you want potatoes and beans and chicken soup and things like that healthy and cheap you could live on 3 dollars a day if you eat light. If you are a Sushi person you will pay. Icelandic Salmon is about 12 pln a package, Potatoes lets say 3 pln a kilo. Do you want the prices in dollars or pln? Do you want the weight in lbs or kg? Let me know and I can guide you. Hi Mark,this is indeed helpful but wondering when it has been posted ? is it still valid ? specifically the apartment rent (1 bed room ).. The real estate market has been flat since 2008. In Krakow I was renting 70 meters for 1000 pln in the center, but maybe it is now like 1500 pln. If you want a high standard you can pay 2500 but I would not. I think 1500 for a nice place is reasonable. You can get 800 pln places to rent in Krakow but I would not recommend it. If you need roomates check gumtree. Ask me any questions on price as I am an expert on prices in Krakow and Poland in general. Poland has been pegged against the EU for the past seven years. 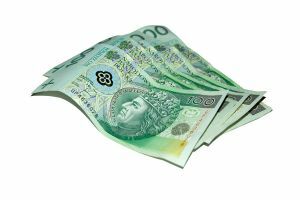 Poland is a bit slow in adopting the common currency and there are many cultural reasons for this, especially based on the attitudes of the old-guard. However, it will eventually roll over to the EURO. My strongest advice to 20 and 30 somethings is to disregard all of the hyperbole and if you are able to or want to head in a positive capital future direction for yourself then the next several years are definitely the time to buy property in Poland. I think your advice is right about the positive capital position an be positive in outlook, but I think Polish real estate for me is over valued. I would not touch any of the construction build but would rather build my own. The construction build were by developers building blocks of flats in unimaginative designs for inflated prices. There is no way someone is going to convince me that Polish real estate is of any value when I live on an island in Florida in a historic two and on the beach and it is cheaper here in warm sunny USA on the beach than in cold, dark Poland. I think you are better off building in Poland not buying real estate developers units in a block of flats. About the Euro, the UK does not have it nor does the USA. Why does everyone need the Euro. I do not even believe in a national currency and central bank as macro management of money has caused almost every economic cycle in this and the last century. Money should be controlled by supply and demand in money market not by a government issuing authority. I am a resident of India and exploring an opportunity in Krakow, Poland. I have a 7 year old son and he is in 1st standard (studying in an ICSE school). My main concern is about his education post my relocation. I am told there are English schools in Krakow, Poland but would like to know more with respect to their affordability (fee structure and admission pre-requisites) and adaptability for an Indian student. You want to go to the International school in Krakow. iskonline.org this is the website for the English speaking school for children in Krakow, Poland. I think it is a couple of thousand but worth it. On the other hand the Polish school system will have English and if your son learns Polish he will have a life long advantage. Poland has a very good edcation system. They even have a English speaking public school (basically) and private ones to. For example search, “prywatna szkoła podstawowa salwator kraków” szkolasalwator.pl/ and tell me if this helps. The szkolasalwator.pl/ site is in Polish language. Can you point us to a different website that is in English. I already have checked and spoken to 2 International school authorities (ISK and British International School) and would like to explore some more options. Sorry for the delayed and brief reply, many things going on. Use a translate tool to navigate. I will try to give you a more detailed reply about English schools in Poland for native speaking children but my pipeline of work is pretty backed up. Hello, I read about everything and my question is, how much is the apartment over there? Oh well, I’m from Singapore. I need to take a break badly so I’m thinking of getting away to Poland becausse I heard the place is the beautiful and quiet place. So most likely, I would want to stay there for about 2 months. Your reply will be appreciated. Check gumtree for the Polish city you would like to stay in. You can get a student dorm situation for something like 100 dollars a month with roomates loaded in or a western standard flat for 1000 dollars a month. I think for a short term rental expect to pay 500 for a nice standard or 300 for less but very livable. I offered a job in Kraków as an arabic credit controller. I had been offered 1200 EURO net salary. I have 7 years experience in multinational companies, and the company that offer job is multinational. should I ask for 1500 EURO net,or 1200 will be fine. also I need to know what reasonable salary I should ask for, as I need to have nice one bed room in center of Kraków, dress well, eat well(I do not cook), travel to neighbour european countries at least once in every 6 months,pay for normal car installment(small car) enjoy night outs, I do not want to save, I just want salary that make me feel very comfortable and reasonable to my experience. That is about 5,000 pln and in Krakow you will live a nice life. Unless you are in management it is pretty good. Mangers make between 3,000 and 8,000 pln a month. Senior managers can make 10,000 pln plus. Its OK money. I am from India. I have gone through all the above posts; your responses for same. Would like to know about coast of living i.e Apartment rent per month /average food coast per month for 1 person/ traveling expenses per month in Bydgoszcz, Poland. Most probably, I will be traveling to Poland in May, 2012 & for longer period as I got an offer from one of the company. It depends on your expections for standard, but lets say for 500 dollars apartment (it would be very nice, western standard), food 500 dollars and extra 500 dollars. But that is me as I am a spoiled American. But it all depends, I spend a lot of expensive imported food as I shop at Alma. You can get buy on 1,000 pln a month for everything if you wanted to. Check Gumtree. But a reasonable standard like in the USA or UK would be above, about 1/2 that in Bydgoszscz if you can live with less and are not spoiled like me. Hey Mark, Thank you so much for your responce. Could you pls also let me know how is the Bydgoszcz to live? Its a charming little city and not far from Warsaw, Germany or the seaside. But Bydgoszcz itself does not have a lot going on other than a litte shopping. If you are married, you will have a nice quiet little life, if not you will meet Polish girls and learn Polish and travel around Europe, maybe go shopping locally and meet a few other Indians there. It is nothing special per say but nice. I have been reading to all the above posts. I need some help as my case is a little different (i think). I have been offered 9,000 Gross which makes arounf 7,500 NET PLN. I am willing to relocate with my family including my Wife and 3 Kids 1, 3 & 4 Years Old. I am willing to have a nice reasonable place to live in city, monthly grocery & food cost, children education, health & medical, and travelling. Is the offered salary enough for a good middle class standard of life in Bydgoszcz?? How much do I need if I am applying to Krakow Economics University. I mean how much will I spend monthly for food, books, etc. (only living costs not including tuition fees). Also If I live in campus How much will it cost? I think student dorms are cheap, and with total costs you could do it for under 800 a month maybe 500 a month or less and that is Polish Zloty. I know some students who have nice apartments and live high on the hog and spend 2,000 pln a month. But if you are really worried about money, you can eat potatoes and live in the student dorms. My wife did for years on like 300 pln a month but that was a while back. Part time job will pay 8 pln/hour (maybe less for students). You can be a waiter and make up to 100 pln a night or do something like teach languages for 25 pln/hour, if you speak any language besides Polish. But do not lose heart, I think if there is a will there is a way. You can also sell things in the old market. But I think the best is if you can get a job in a shopping mall that is not busy and you can study or space out during work and rest so it does not disrupt your studies. My husband got an offer in Gdynia for 9,500 pln gross amount and tax will be deducted. We are a family of 3 with me , my husband and my 2 year old son. Is this a suitable salary and also would like to know about my job oppurtunities(currently I am in IT industry). I think for Gdynia is a very good salary. Many people in Poland live with families on 1,500 pln a month. If you can not life on 9,500 pln I think it would be unsual. You get a nice flat for 2,000 (western standard and large) and food 2,000 and expense, savings and travel 2,000 and will still have money left over. But it also depends on your country of origin and what you are accustomed to and your expectations. I am from Beacon Hill Boston, the richest and oldest place in the USA. I had not problem living on 1,500 pln in Poland. However, I am frugal. There are many Americans addicted to spending and 9,500 would not be enough. But I find those people distortions of character rather than cost of living and lifestyle considerations. I would take that job as it is a beautiful seaside area (make sure to go to Hel, it is a seaside town on the Baltic (not a place where it is hot for eternal punishment). Let me know how it all works out and more information. You will love Poland. I was talking to my wife about you, she said you will be fine with money there, you will be rich. Indian people are good with money and you will live a nice life. For example, I met this American woman the other day who has a $250,000 dollar hour paid for 100%, and a new car and an annuity that pays $800 a month and 1/2 million dollars in the bank and investments. She is single with no children and calls her self poor. If you have 500,000 dollars in the bank in cash and stocks that is not poor in my book. She has no debt or payments or mortgage. What is she thinking, she could get a job or just invest the money ( she will be a millionare if she invests right) and she is all set. But in her mind she is poor. This is crisis America. Everyone here is a movie star. In Poland or India people live great lives with less and are happier with less. However, in your case over 9,000 pln in Gdynia you will be upper middle class or even upper class. Use Gumtree to look for apartments etc and do not pay too much. I had a newly renovated flat that was large for 1,000 pln. I think for 2,000 pln or less (prices have gone up you) can find a very nice one. Yes Mark. we too dont believe in spending lavishly, anyways will give a try, the cause of doubt is the different opinion of people, mostly people here are comparing with US, Singapore etc I believe, anyway your words were so positive and thanks for that. Use Gumtree to help guide you for things and a translate tool to read it. biedronka.pl – And shop at Biedronka sklep for food, it is the best for price/quality or Alma if you like exotic food like I do, this is the best quality. You can see the prices online, those are in Polish Zloty and after tax so it is the final price. So you can see oranges for example are 30 us cents a pound or 2 pln a KG. I think that is cheap or Chicken 11 pln a KG or lets say 1.70 USD a pound. I think that is cheap. You can live very well if you know how to shop. In the winter instead of keeping the whole flat heated to the max, we put a space heater in the bedroom at night. Water we used water filers not bottled water. There are many ways you can save, but with that salary you will not have to. My wife who lives with me in the USA now says if you can live on 9,500 pln Brutto a month in Poland there is something off with the calculations. Polish people are fair and in my experience will not try to take advantage of foreigners in normal shops. Ask me about anything you want to know about Poland and cost. I can go in great detail about where to shop and buy things. Remember this is the EU. You can buy anything in the world in Poland via Ebay or Amazon ordering from the UK. I got loads of books and things from the UK when they were not in Poland. Remember that salary is over 3,000 dollars a month. I live in a rich town in the USA. St. Augustine, Florida and most people make about much less then that here according to the average income. And this is rich America. Do not believe fairy-tales of people needing a lot of money to live. I have a family to support and believe me, you can live on a lot less in a state of luxary if you are not wasteful. We make our own soup and ride bikes a lot for fitness for example. I rented in the old town of Krakow for 1000 pln a nice flat that was remodeled and big enough for my whole family. My sister in law pays 800 pln for something similar. My friend pays 700 pln for a nice place with a loft in the old town. So if you look you can find deals. But if you are just a foreigner with money they will charge you. I think 1000 pln will get you a nice flat outside any city center. Get it unfinished and put some Ikea furniture in there. You will feel better. I mean the furnished beds and sofas are old Polish 1980s and really not for me. Do you want to live like that? I would rather get one Ikea bed or Futon and a desk and a laptop than pay an extra 300 pln a month for a furnished communist style flat. And this is what it will seem like, with heavy dark colors and draps that have no sunlight. Trust me unless you pay 2500 pln a month you do not want someone’s conception of a retro look, unless you like dusty dark things. Ikea is the best. No Ikea there is something like this, or order from ebay or Amazon UK. You will need one months deposit. You need a visa to turn on the water and gas etc of course or some EU ID like an passport from another EU country. 1,500 dollars, you are a rich person. If you need to cheap flats try student dorms of the blocks, you can get a room for 300 pl or in someone’s house. What is your budget again a month? What town are you living? Ask em any questions. Like I have written families live on 1400 a month no problem so 400 a day Polish Zoty after hotels is more than enough. I do not think I could spend that much if I had to. I am pretty sure im going to be moving to Poland in October to go and study in Poznan Poland, if the college will take me. The college costs 5000 euro for one year. I have 6,000 euros to spend on everything else for the eight months I will be there (october to June) flat, food, etc. I would like a 1 bedroom flat in city centre or close to centre. Does this seem doable to you? If you have 6,000 euro for eight months read my other comments about the cost in Poland, that is pretty good and you will live well for a student. Over 3,000 pln a month for a student is a little too much money in fact. I wish I had had your money during my study 😀 A usuall student in Poland has around 700PLN/mouth, what is enough for paying for the room at the student house or in a flat shared with other students. And I know lots of students having less money mouthly. Of course everything depends on how you used to live. But only renting a bachelor flat will take min. 1000PLN if not more in the city center but I don’t think you really need it. Maybe better would be to rent a room somewhere just and to get to know some people and then to visit Polish cities at your free time? I did like that when I was studing in Belgium, and I have unforgetable memories from trips till now. So don’t really worry! In Warsaw, what do people pay, In American money, per gallon of gas? What are the cost of the tram, trains, and bus, around Warsaw? A Tram is about a dollar a ride bus even less. You can by a pass for a month for all trams and buses for like 30 dollars a month. I sold my car and did this as gas is about 8 dollars a gallon. A lot of people just get a bike and ride the tram. Good to see your suggestions and comments & those were really helpful. I’m from India, getting an offer from an IT Company(MNC) in Bydgoszcz with 10000 PLN netto. Is that a good package to survive with a family of 3? How about English medium schools in Bydgoszcz? are they reasonable enough?How much would I need to spend on housing, car etc?. You will be a prince among princes living on 10k PLN a month in Bydgoszcz. Everyone will speak English to you, your children can go to the best schools and you can shop at Alma for French cheese. I absolutely love your site and appreciate all the work and time you have put into it. I may be missing something because I cannot find a date on here. I’m writing this today March 1, 2013 and I’m wondering if that $400 per month rent for a place to live is still doable? My interest though would be on the outskirts of a popular city with easy transport by train and not too far as to not make a small motorcycle doable. I am an American so I see the visa may be an issue. I will write to Anna as suggested in another thread to seek help in finding a school. Again thanks for this great insight and it may sound very corny but you may want to consider becoming a Romance Writer because I am now truly in love with the place. You can certainly rent for that price. The rental and housing market is less efficient in Poland when you are talking about renting from people. I know many students in the center who live on 400 dollars a month total. It is all what your expectations are. Did you check gumtree? The best is to find a town or city you want to rent and start talking to people. I mean tell what town you want to live near and I can give you some hints. I am negotiating a possible relocation from Puerto Rico to Warsaw working for a big pharma. I am currently doing around $100,000/yr. Since PR is US territory, it is pretty much the same as living in US mainland. Now I have two children 12 and 8 and we can speak English and Spanish fluently but no Polish at all. The package does not include expat benefits, but I was asked to bring a number for salary, relocation and school. could you guide me on how to calculate this number as I am not completely familiarized with the currency there? also, aspects like Tax and other typical expenses. Thank you very much for your time and attention. Forgot to add also numbers for rent and utilities in a place to accomodate my family. I have no idea what your expectations are for standard of life and your career level is, are you doing this for the experience or for money in the bank? I think you can use this as a guide use, numbeo.com/cost-of-living/comparison.jsp it will give you a sense of cost, but you have to determine why you want to move? I love Poland and Europe as the experience and would base it on that. But in terms of money that is secondary. Your children would learn Polish but they could also go to an all English school. I personally would be happy with 20,000 PLN a month, you would live like a king, 10,000 PLN a month is still rich yet neither is equivalent to what you make in dollars. Hi Mark, thank you for your answer. You made me think about the reason to move. The main reason is the experience, to give my children the world experience so they understand that their “playing ground” when they grow up is more than a beautiful caribbean island. Thanks and keep up the good work. Very nice, simple and informative site, I have one question, Im from Serbia and I got a job offer in Poland, Lodz, by your opinion is 9000 pln enough for living in Lodz? You will live like a king, that is a ridiculous about of money, I image that is per month right? Yes that would be 9000 PLN net per month. The 9000pln is a good standard for a life in Poland. I am sure, unless you have high expectations, your standard of living will be above the medium. Apparently Poland does not care to train Poles to take all these foreign – job seekers positions? What did we fight the war for? The Second world war was an ideological struggle about freedom of choice vs totalitarianism. It was interdependent with the idea of economics on the periphery but not at the core. At the core it was about freedom and democracy. It is a different idea than the economics of job competency and national training. In the ideal world if a country has free movement of labor and capital like the EU then boarders mean less and less. Many talented Poles live abroad and work abroad while many talented foreigners come to Poland to enrich the society by using their talents. Further, is it not better to be a good human or a good Christian than a nationalist? I make about $18,000.00 per year for a family of 4. Can we make it in a small Poland country sidetown/ community, or would we be struggling? I’d prefer to buy a home rather then rent. If you are making USD in Poland at that rate you are fine. But it really is all about your expectations. I mean things are getting to parity in terms of prices as things get more global, but relative to your neighbors you do not feel bad if you do not have a lot, because few are making US incomes. Can you please provide information on teaching English in Poland? I researched, and found that most countries required a certificate (TESOL or the like); but in reviewing your postings, I see that you mention-(more than once), that a job teaching English seems to have no other requirement than; just to be an English speaker. What do you know of the town/city of Wroclaw? Cost of living for a one bedroom apartment?, etc. My children are raised and through/nearly through college, and I am seriously pursuing the option of living and working overseas, teaching English. Poland is one of my choices as I am Polish and Ukranian. What can I expect to be a monthly wage in US dollars; as I realize there are many different venues of where I may be able to teach; thus the salary would vary. Would this salary be enough to support me living modestly? You do not need any certification. If someone wants English conversation they can pay you. It is that simple. You can even report this on your taxes. Schools do not require it either. It is a ridiculous certification if you are a native speaker. I think if you have 5k pln net in hand a month you live very well, but you can survive fine on 1,500 pln fine. The key is to get a cheap rent off of Gumtree. As a teacher you can expect between 45 and 75 pln an hour depending on how you market yourself. Pondering a teaching position in Warsaw paying 1500 a month including housing. Is that considered a good wage for full time work? 1500 pln seems too small, should be double or triple for a native speaker at least. What is the housing they include, like a large flat? 1500 dollars is OK. I mean would you want to make 1500 dollars in NYC a month? Do not let these schools take advantage of you. Just my opinion try to find a deal that you get paid like 70 pln/hr and teach 80 hours a month so that is, 5600 in your hand each month. Then you can rent a rocking penthouse and have money to burn teaching 20 hours a week and take trips to Paris or Milan. I would like to know if your statements are of Poland in general or if it is different in certain areas? I am thinking about Gdansk in a few years. However I do a lot of freelance software programming and often have to have the best graphics card to make sure things work properly. At times I need to buy pieces of computers (motherboards, hard drives, graphics cards, etc) that users are having issues with and fix the problem. This is easy in the USA and my colleagues in the UK and Australia have no problems either. Is access to this type of equipment easy there? They have Amazon, ebay, Allegro.pl and large stores like Saturn (like Best Buy) and anything you can image at Gielda, any parts or pieces in every major town in Poland. No difference in computers. My husband currently has a career in telecommunications. He makes between $70-80,000 a yr. we are a family of 6. We would like to live a country life not so much in the city. Is this career even a possibility there? Also how much is it to rent a home in the country or even buy? I see you suggest building your own home instead of buying but my husbands career has him gone 90% of the time. We have wanted to get away from the crazy life style in America. I cook everything pretty much by scratch anyways and we live a very organic life and as you know is very expensive here. We also home school, which I have read is very open and welcomed in Poland but I also read that the education system there, if we decide to take is much better quality there. We don’t do immunizations because we just don’t believe in them but I also read it’s need to to move there. Is that true? If so, is it only mandated to get into the country? Thanks again for your awesome feed back. Country life with six people is a good life, he would target a big city for telecommunications but you could always teach English. Different life in Europe, do yo need a big house? Immunization is required for school kids like in the USA, but I am sure you could get around this. I think you write Sanepid – which is the health department. Research “sanepid szczepienia”. The only concern I have is economics. I know some Americans that make money with organic farming, others sell gems, others in big companies where they all speak English. I have a few questions, hopefully you can help me with. I’m more interested in the residency permit. If I am correct I believe you have to have a permit if you intend on staying longer than three months. How much would you say is enough money to support myself? I am also trying to learn Polish at this moment in time, but how easy is would it be living in Poland with limited Polish? If you want to stay longer than three months then you need a visa anywhere in the EU. It is EU law. However, you can get a visa if you have a job. If you make $1,000 a month you are doing well. Many people I know live on $500 a month. If you are a professional you can make $7,000 a month. Everything now days cost the same as the west, but somehow life is cheaper. You do not need a car because of public transport and medical car is cheap. Food is cheap if you go to the market but if you want to replicate and American lifestyle you will need the same money. Is it safe to live in Poland? I am moving to Warsaw this year, and I have a budget of 11,000 zloty a month. would it be enough to live a great life? What are you going to be doing in Poland? Poland is safe. There are not really guns and there is not a lot of crime except petty theft which statistically would make Poland safer than anyplace in the USA or UK. The amount of money needed to live in Poland depends on your attachment to material things. At 11,000 pln a month it would be hard to burn through that cash unless you have a spending problem. House prices are still excellent value in Poland compared to the UK and anywhere else in Western Europe. In fact they have actually largely decreased in recent years since the crash. Here is are 5 properties 100k euro can get you in Gdansk for example. Thank you for all your positive feedback . However I did not see you mention costs of insurance. Usually house, cars, decent (say 1 mil Euro) life insurance takes a big chunk out of a salary. What are the insurance costs over there? Cost on insurance is cheap, housing is nothing or virtually nothing, medical is 800 pln a month and people do not get life insurance generally. Hi, my family and I will be moving to Poland this coming year and just had one really important question. Is $1550.00 Canadian dollars (around 4400 Zlote) a month enough to survive with two adults and two children ( 7-8 yrs old). My wife is from Poland and we all will have duel citizenships soon, so just want to make sure we have enough to start off. Yes, you can live a good life in Poland for that by Polish standards, but it is according to your expectations. Poland is a beautiful country and you do not need to be hyper consumptive to enjoy life. You have trams and artistic event that are virtually free. Mark I love your site. It is great to look at Poland through a foreigner’s eyes. However I think you are a little too optimistic about the living costs in Poland or you just left the country a long time ago. Having a budget of 4400 per month for a family with two kids is not a good life. It is actually rather difficult to pay the bills. 4000 PLN is an average monthly salary nowaydays in Poland and you can have a decent life if both parents make that much (8 000 per month). That would be a good life in Poland. With just 4000 PLN not so much. Most of my friends (we are all Polish having regular jobs) make at least 5500-6000 (per month/family). It is enough but if you want to go for a holiday or if there are extra expences like going to a dentist or paying car insurance, it gets complicated. You have to be very careful with the money then. I do my grocery shopping in Auchan and Biedronka but the prices you mentioned in your posts are from the ancient times. You should double them. Four years ago I was making exactly half the money I make now and had almost the same living standards. For exapmple my rent was 300 PLN now it’s 600. But I own the flat. If I want to rent it, that would be ca 1500 plus electricity, waste, internet, gas. Two years ago waste disposal fee was 4 PLN per person now it’s 12 if you segregate and 15 if you don’t. For 4 people you’d have to pay ca 50 PLN just for waste. Plus ober 100 for electricity. Phones, bus/tram tickets etc so Frank’s family would need at least 2000 PLN for bills. I know you’re gonna answer with “your expectations are too high” but I do suggest everybody should check the current prices before making such a big bald move as moving the family to another country. I’ve mentioned it before but the fact that the posts are not dated makes it very hard to know what time period people are talking about. Yes, I think it’s been a very long time since Mark left Poland. The prices can be no where near the same. You can check stores online in Poland for prices via the Internet, like on Allegro.pl or Alma.pl or Empik.pl etc. You can use numbeo.com to compare prices. I left three years ago and unless there is hyperinflation, which there is not prices should be about the same. The end of 2014 the inflation rate was negative, that means prices are falling or delfation at least in the short-term. Because of Polish central bank policies prices are the same. Very informative forum, thanks! I come from the same city you do Boston. I love Boston but my girlfriend lives in Wrocklaw, Poland. She is actually Italian and works for an airline company in Poland. As you can imagine it is pretty frustrating living so far apart. I am a teacher near Boston and am hoping to retire soon. I’m wondering if it makes sense to use my pension and move to Wrocklaw. I don’t speak Polish so of course I’m not sure what kind of job I would be eligible for, and plus I probably have to go through a ton of red tape to get a work visa, but I’m thinking with the exchange rate and cost of living there maybe I can just live off my pension. If I have a U.S. pension of say 40,000 dollars a year would that be comfortable? I don’t live a fancy life. Money in Poland is not your problem my friend, I mean 40k USD means you will live like a king in Poland. But watch out, once you get to Poland you might have a wandering eye as those Polish girls are irresistible. Ok, so a single ticket right now cost 4,40 which is 1,45 $.A monthly ticket 155 (ca.52$). I find the “deflation” propaganda fascinating. We hear it a lot but we pay more and more. The price of gas has gone down recently, true but nothing else I could think of. I travel a lot and I have no doubt that Poland is generally much cheaper than western European countries and having 40K USD per year is a lot, like really a lot of money, but I don’t believe it is possible to have comfortable life if you make less than 3500 PLN (for a single person) and 6000 PLN (for a small family). Sure you can eat nothing but potatoes (yes, cheap indeed) but people need to go to a hairdresser or to the movies from time to time ! This month poeple in Poland got their PITs (personal income taxes), in other words information how much money we made last year. At my office the most popular numbers were around 60 000 PLN. Regular jobs, a town of 200 000 inhabitants, nothing close to a big city. That is ca 20 000 $ a year per person. That’s how much people need to have to live nowadays in Poland. I have enough to pay my bills, eat (cooking at home only), buy clothes, books but in moderate numbers. If I had a kid, that would be a struggle to pay for the nursery/school etc. Hi Mark. Liked your site and comments on living in Poland. 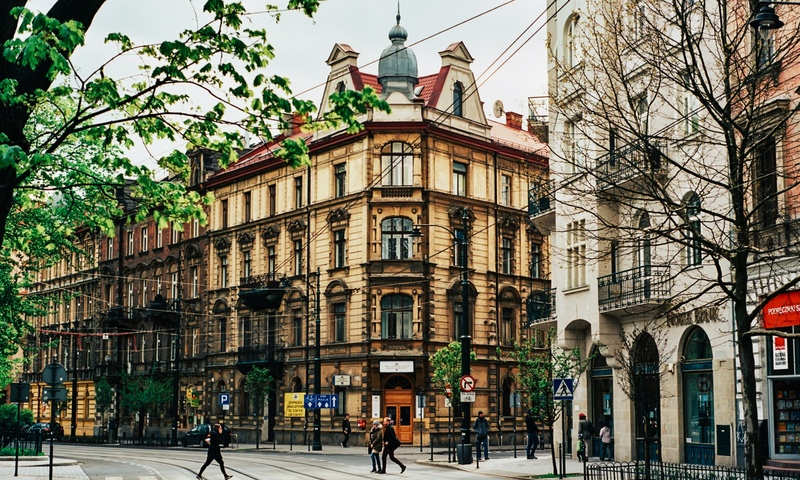 Recently, I got my job offer in Lodz with net salary of 5,600 pln/month. I have a family with no children yet. My wife is currently applying for the job in Lodz as well. I expect her to receive the same salary as mine. So, it will be around 12k pln. Will this amount be enough for living in Lodz? I searched for the flat rent and most prices quoted net of extra charges. Also, most flats charge security deposit, is it normal practice in Poland? It is normal and that pay in my option is good pay. You can live a nice middle class life in Lodz for that. You might not accumulate capital like living in London but the quality of life is good and in theory you could save five hundred US dollars a month. For me that is equivalent to what people save in the US if they are lucky. So from that perspective it is a good job. I am from India and will be relocating to Warsaw in mid 2016. My son is 4 and I did come across done affordable international kindergartens for him for about 1800. I wanted to know if budgeting 3000 for an apartment, utilities and grocery is reasonable (we’ll be cooking 90% of the meals). If you do not spend a lot you will be fine. Think of Poland like the USA if the Polish Zloty equaled 1 dollar. It does not I know, but it is like making 5500 USD a month after taxes, that is pretty good I think. Thanks for all the attention you give to your readers! Could you please advise about living in Gdansk on 9500 zl (net) per month (apr 2016)? I deem myself and my wife as quite moderate, even frugal people. Also if I see a 1700 flat on gumtree, should I automatically add about 700 zl for utility (50-60m2 flat). And what can you say about Gdansk in general? That is an exceptional salary, and with being frugal you will enjoy a beautiful life on the Baltic sea. Hello Mark. I read through posts but don’t see an answer to this question. My girlfriend (who lived in Poland until 21) and I are thinking about living for a year in her hometown of Szezecin. I’m trying to decide if it would be better for me to ship my car to Poland (around $1000-$1500 one way) or purchase a car, used or new? I own a VW Golf R, so small. Can you give me an idea of the costs involved with each? We would live in the city center of Poland as my investment and other income (from USA) can bring us around 15,000 polish zl monthly, though I wouldn’t want to spend near that much. We’d like to live on 6-7 thousand a month, and splurge to visit other countries every few months. Our reasons for going are to take a break from hectic USA work life, explore Europe, and, for me at least, experience different cultures. I personally would buy a car there as there are standards it needs to conform with and the prices in Poland are no longer out of line with the US. You can get an similar model and make for the same price. That is my opinion. You can buy a cheap used on or better yet just take the train, that is what I did and rent a car when you want. Hey Mark, been reading the comments and I don’t believe this has been asked/answered: I’m probably moving to Polska in a few months with my girlfriend/wife (Polish) from the US. We work from home, so we can take our jobs anywhere. My question/concern was: how does money transferring work over there? (Being paid in USD) Are there any restrictions or regulations we may need to be aware of? Or would simply having a Polish bank account be enough? Poland is like the US. I used my ATM card for my US money like I would in Boston or Florida. I also used my US credit cards for years. You go to the ATM and take out money. There are US banks like Citi and companies like Metlife in Poland. You can get paid in Poland and have a Polish account. It is all universal and easy now in Poland. You can have a bank account like Mbank and do everything online. Whatever you do in the US you can do in Poland. Hi Mark, I’m from Brazil and have been offered to move to Krakow, receiving 7.500zl (gross) per month, this is a nice salary to live well in Krakow? I personally would take this as you could live well if you set yourself up right. That means do not get an apartment for tourists, but rather one that a local resident could live in (say up to 2,000 pln) and shop at Stary Kleparz Kraków or Alma. Buy a monthly tram pass and you will have a great life there for that amount of money. I live in Arkansas and recently visited Poland over the summer and liked it very much. Met a girl I knew from high school that was an exchange student. Her family is like my family now. I’m currently a Freshman at UCA and going for Finance and Accounting but visited Poznan University of Economics over the summer and I think I will apply in March. Really love the school. I pay about 20,000 for my tuition now at UCA. 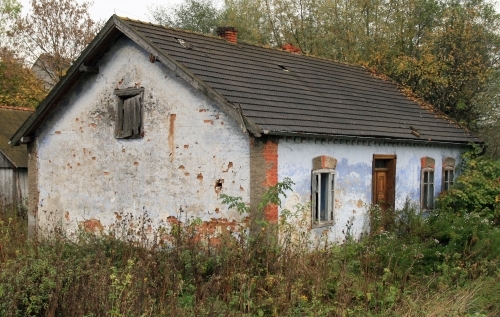 In Poznan, it’s about $2,500 without the dorm room. Was thinking about getting an apartment because I wouldn’t be able to stay in the dorm room over break I don’t think “rule we have in the US.” Usually id have to pay $700 or $1,000 to stay in my dorm for Christmas break. Stupid. Anyways. I was wondering what apartments in Poznan to look for. I was wanting something that was about $400 a month with the electric and heat included in the rent so I wouldn’t have to pay all of that separately.. another thing. If I go to Poznan university, I would have to start over because my credits won’t transfer over. Do you think it would be worth it knowing you would learn another language and could possibly get an internship at a Big4 in Poland? I was planning on living in Poland after college anyways but the companies id work for in the US want me to work for them for 5 years before even thinking about sending me there.. anything else I should know before thinking about selling my car and what not to move there? As you can see the Pole was 2,5 times better of to start with assuming we count unit for unit (1zl for £1). However, the prices he needs to pay are anywhere between the same (rarely) to as much as 10 times more(while he only has 2,5 times more left in the pocket after the main bill, which is the rent). This is why low skilled workers are gone from the country, and instead there is over a 1milion of Ukrainians, Serbiand, Moldavians etc. Because in their country they are in exactly same position, Ukrainian gets 1500hryvnia as the NMW (while 9k hryvnia in Poland as the NMW). The situation is different if you are skilled, doctor, IT etc. Then its the other way around. Because you’ll never get 7-10k per month in the UK, while you can get it in Poland. Btw, you are not buying food in Krakow or any city from farmers, because that is forbiden by the law in the EU, these people are licensed middle man, they buy from the farmers, probably for half of what you pay or maybe even quarter, and then resell it to you. Farmers are doing well because they get money from the EU budget to compansate for laws like this. This is my 2 grosze I’d like to add to this conversation. I live in the USA and have been to Poland 6 times and love it and want to move there. I cannot locate a post that I saw you write, it was about a special document one needs to live in Poland past 3 months. What is it called and how do you get it? Is there a maximum amount of time I can stay? I am 60 and have enough savings to live off of. Is it okay to move to Poland with just money in the bank? Or do I need to have an income source to move to Poland? And do I need to show my bank account amount? You can stay 3 months at a time with a total of 6 months a year. because the Polish PLN is cheap you can live in 1000 USD a month no problem and I think well, depending on what standard you are accustomed to. In my last post I put “shop” in the title and meant “ship”. I meant to also ask what is the best way to ship about 16 cubic metres of personal items to Poland? By ship in a container? Best is to ship it not through the post office but with a shipping company, look for a Polish or even Russian store in your area. Lets say a large box is 200 dollars. 16 cubic meters I do not know the price, a car might be 1,000 USD. I am a 12 yrs experienced Telecom Network professional working on an offer in Poland. I have to inform my salary expectation to the HR of the firm. I have a family of 3 (me, wife & 5 yr old kid). As per me, below is the conservative calculation based on our eating and living habits. It will be great if you can vet these numbers and point out if any of them are on the higher side since I have derived these values from various forums and websites. This seems about right for expenses. Are you saying you will make 19,000 a month PlN? That seems like someone who is a VP at a major corporation. I recently got an opportunity with a gross pay of 20000 PLN a month. I am planning to move in with my wife and have plans of saving around 8000 PLN a month. Is this a reasonable expectation. Based on my prelim research I am expecting an expenditure of 5000 PLN a month. 5k a month is fine, I do not understand your 20k a month, that is over the top in terms of income, what is your job? Thank you so very much for such an useful info about living in Krakow. My daughter will be moving there in a very near future in order to comence studies at the UJ. She is super excited. I am worried but reading your posts actually helps a little. I will be sponsoring this little venture of hers, so good to know what am I looking at price wise. For me, that is more than enough for a whole family. I do not know if I make that in the US.